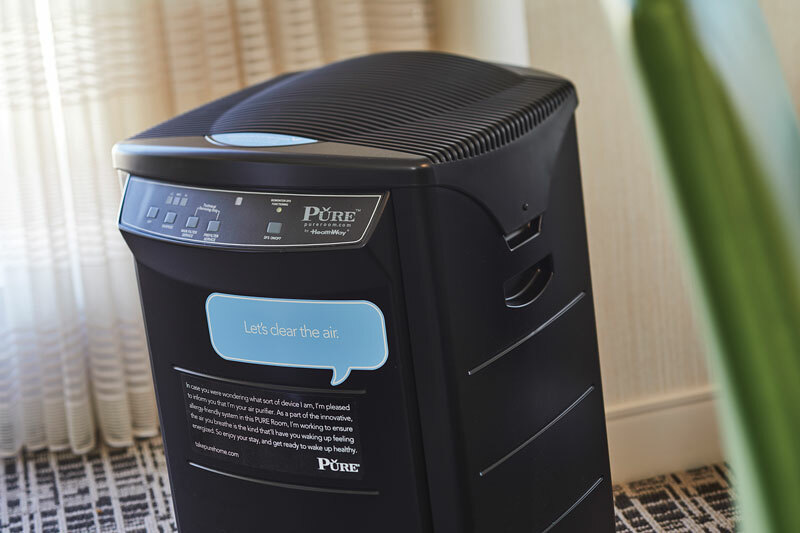 The Pure Wellness Rooms system uses a medical-grade air purifier. NATIONAL REPORT—While there are many aspects to wellness, from eating well and being physically active, to being in touch with the body, mind and spirit, one may be difficult to control—the environment you are in and the air that you breathe. Hotels around the country are now trying the change that with the addition of Pure Wellness Rooms for guests. The program uses a comprehensive process to make sure that a room is free of allergens, bacteria and mold for a better breathing environment, which can lead to better sleep. Dan Kakabeeke, general manager of the hotel, said that the rooms were added to offer another option for guests. “Including rooms with such qualities as reducing allergens in the environment is in keeping with our desire to ensure that our guests are re-energized, giving them that extra edge,” he said. He said that the feedback he has heard most from guests is that their quality of sleep has greatly improved. “It always comes back to the sleep quality,” he said. 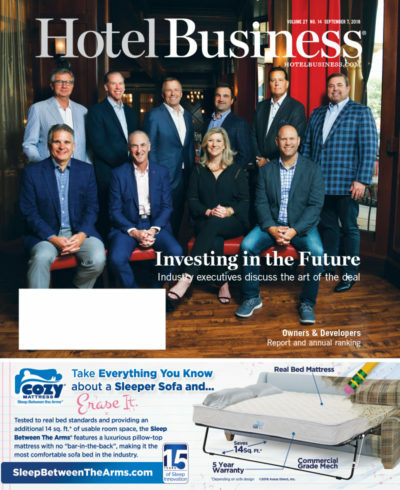 Brian Brault, Pure’s CEO, said that typically a hotel will convert anywhere from 5-10% of its rooms to the system. It is ideal if they are all in the same area of the hotel. 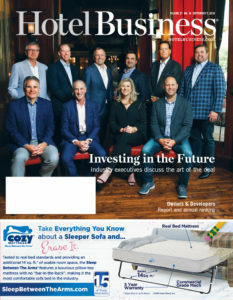 “If a floor or half a floor is in that 5-10% of that inventory range, we like to have a physical cutoff; that is better for marketing, better for the front desk and for the team to compartmentalize those rooms,” he said. Hotels charge guests a premium for the rooms—on average, $22 per night. When a property decides to add the Pure program for a block of its rooms, a comprehensive process is put in place to clean and purify the space. 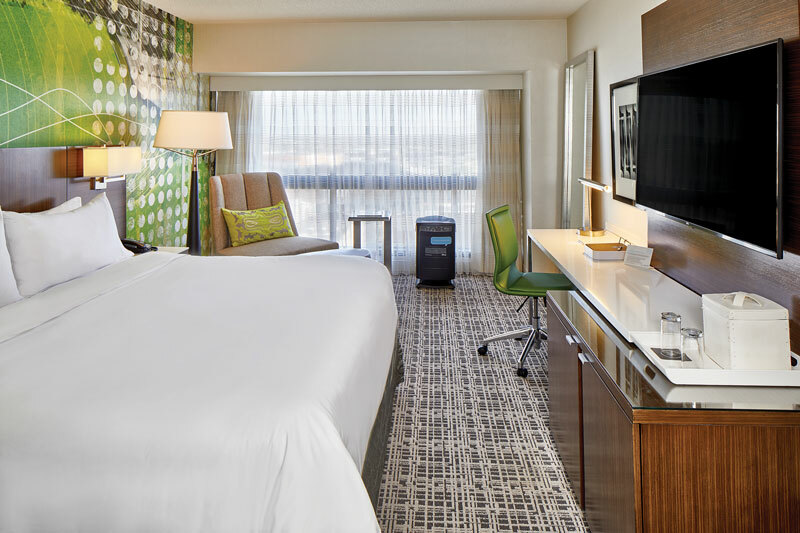 Renaissance Nashville is one of several hotels that have Pure Wellness Rooms. A special treatment is used on the coils so that they wick away moisture. If condensation forms on the coils, it can be a breeding ground for bacteria, mold and mildew. “Once we put a treatment on the coils, we put an enzyme tablet in the drip pan so that bacteria can’t build up in the system,” said Brault. A gel cartridge containing tea tree oil—an essential oil with natural anti-microbial and disinfectant qualities—is installed in the air-handling system. The mattress is then placed in a special hypoallergenic encasement, which is designed to protect the guest against dust mite-related allergen triggers. “We then install feather-free, dust-mite-proof pillows and a feather-free blanket or duvet insert,” said Brault.